The Nest Cam can capture audio whenever it’s recording video so you can hear what’s going on. However, if you don’t need audio, you can disable it to save just a little bit of bandwidth and data. 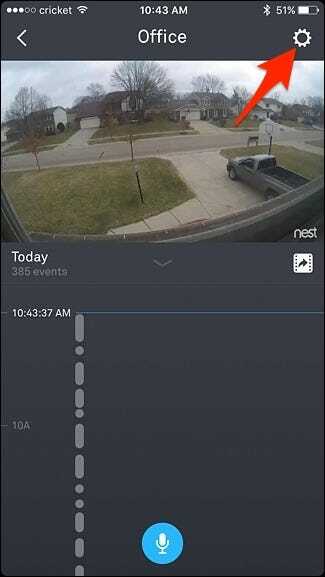 There are plenty of instances where having the Nest Cam’s microphone on can be beneficial, especially since it can send you alerts based on noise. So if your dog starts barking, but he’s nowhere within the camera’s view, you’ll still get an alert, that way you can check in to see what’s going on. The microphone on the Nest Cam is also great to have if you want two-way voice communication—you can talk to whoever’s on the other end by speaking into your smartphone with the Nest app. Whoever is near the Nest Cam will hear you and they can communicate back to you. 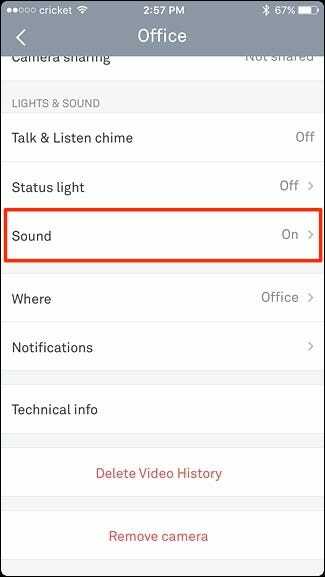 If you disable sound on your Nest Cam, you won’t be able to do any of this, but if you discover that you don’t take advantage of these features, there’s no reason to have the microphone on and listening, so here’s how to disable it. 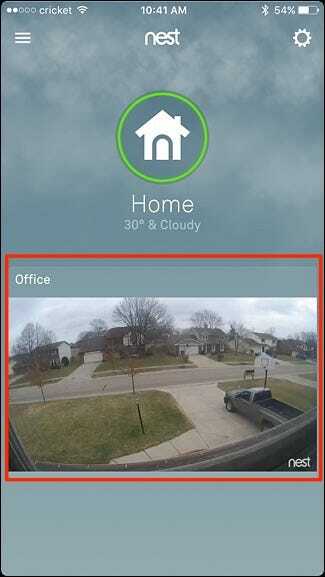 Start off by opening up the Nest app on your phone and tapping on your Nest Cam’s live view. Tap on the settings gear icon in the top-right corner of the screen. Scroll down and select “Sound” from the list. 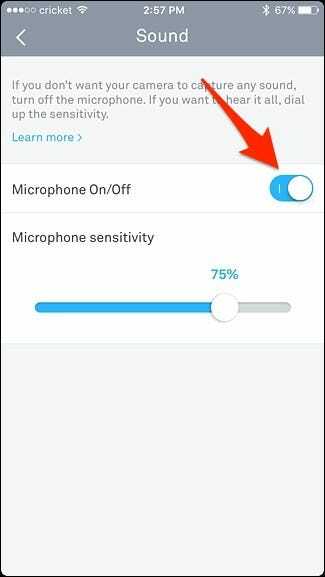 Tap on the toggle switch to the right of “Microphone On/Off” to disable it if it already isn’t. After that, you’re all set. From now on, your Nest Cam will no longer pick up any sound, and all recordings won’t include audio either. 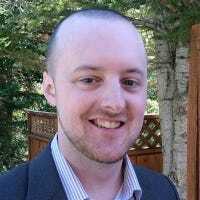 Again, this will remove the ability for two-way audio communication, as well as make audio alerts irrelevant.